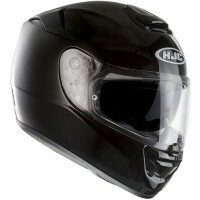 The HJC RPHA ST is a fully spec'd touring helmet constructed from a Premium Integrated Matrix (PIM), which incorporates three different materials; carbon fibre, aramid fibres and fibreglass. This creates a unique woven blend that produces a shell both remarkably strong, and noticeably lighter (1350g +/- 50g). Features include a super smooth, anti-allergenic wicking liner (SilverCool), which wicks moisture away from the skin, as well as a quick release, auto-locking visor system. The visor is also Pinlock Max Vision and includes the Pinlock insert in the box as standard. In order to cope with sunny days, the RPHA ST is also fitted with an internal sun visor.